If you’re on Facebook of Pinterest, I’d sure appreciate it if you have time to use one of the buttons above 🙂 Thank you and be sure and drop a howdy in the comments below! This is one of those dishes that, somedays, you just gotta have. Sticky Chicken has been around about as long as folks have been cooking. 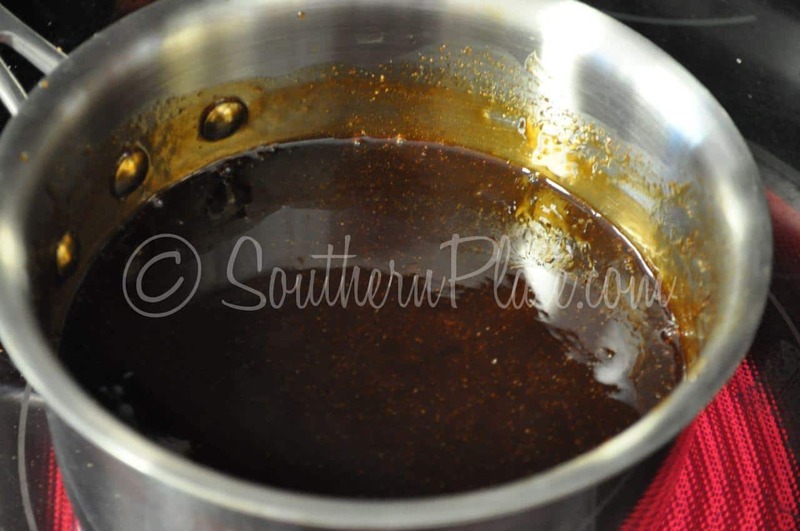 The recipe has evolved and been tweaked over the years but the flavorful sticky marinade that clings to the chicken is still every bit as good as folks remember from the days when Granny used to make it for Sunday dinner. This recipe for sticky chicken is pretty simple, mix up some ingredients, bring them to a boil, pour them over chicken pieces and bake. It’s a home run with kids as well as adults, too! You’ll need: Brown sugar (dark or light, whatever you have), garlic powder, ketchup, honey, and soy sauce. You’re also going to need about 3-5 pounds of bone in chicken with the skin still on it. 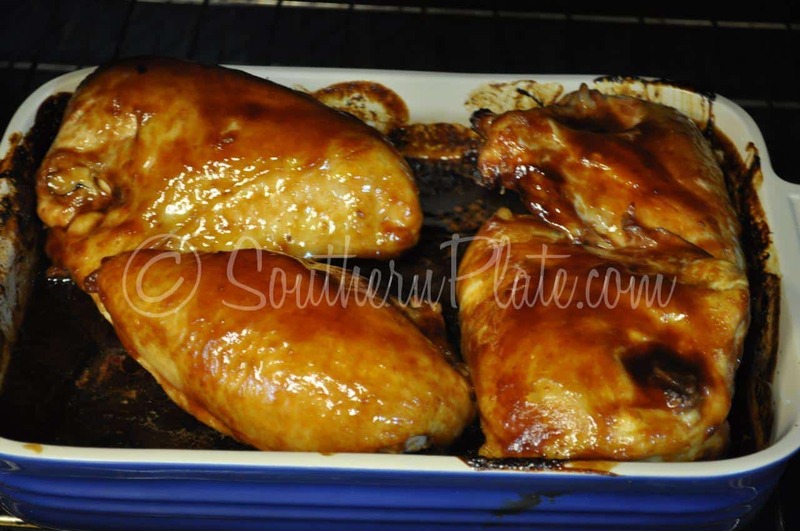 Traditionally, folks use legs and thighs for this but my Kroger had bone in split chicken breasts for buy one get one free – so I have four HUGE Chicken breasts halves that cost me about $2.50 and that is what we’re using! Put everything in a sauce pot and stir it up really good. Place over medium high heat. You can do medium heat but I like to get things rolling. Patience is a virtue and all that but I find that my patience is best used in dealing with people, critters, and my spotty internet connection. Bring it just to a boil and then remove from heat. Place your chicken pieces in a 9×13 baking dish and pour all of the sauce over. Place this in a 350 degree oven and bake, uncovered, for 90 minutes total. 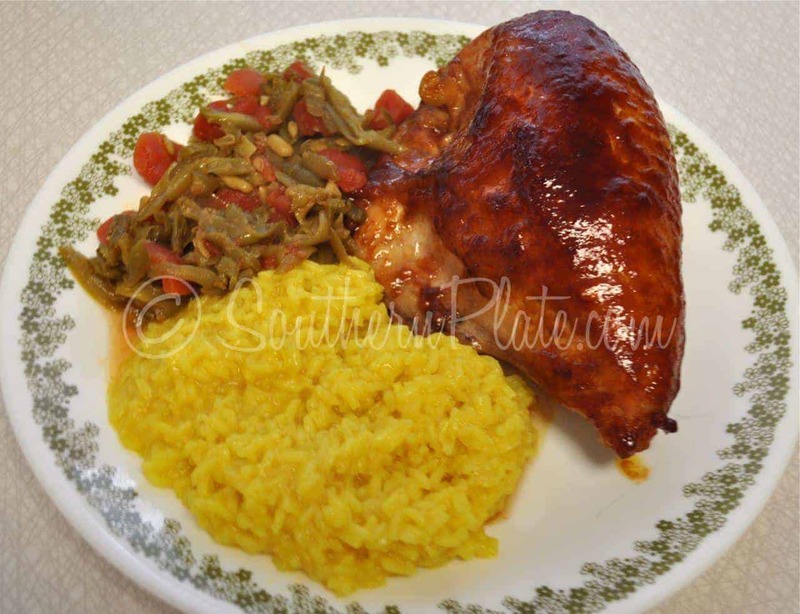 After 45 minutes…flip all of the chicken over in the dish. An hour and fifteen minutes into cooking, flip pieces again and baste with some of the sauce in the pan. Bake another fifteen minutes. NOTE: cooking time is the same if you use legs and thighs. This dish was extremely difficult to photograph because I really just wanted to eat it. I’m serving some green beans with it (recipe coming soon) and simple Mahatma Saffron Rice. Rice goes great with this because the chicken is so flavorful. It’s almost newsletter time again! Each Friday I sent my email subscribers a newsletter with links to the week’s most popular recipes, latest recipes, inspiring quotes, Q&A, and more! If you’d like to subscribe by email click here. No one will ever see your email but me and I typically send anywhere from 2-4 emails a week. In a sauce pot, combine ketchup, honey, brown sugar, soy sauce, and garlic powder over medium heat. Bring it just to a boil while stirring. Remove from heat. Arrange chicken pieces in 9x13 dish. Pour entire amount of sauce over chicken, turning pieces with tongs to coat. Place in oven, uncovered, for 90 minutes, turning after 45 minutes. 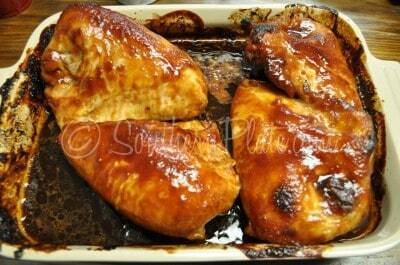 Fifteen minutes before cooking time is up, flip pieces once more and baste with sauce. UPDATE: Can I make this with boneless skinless breasts? Submitted by Diane. Submit your quote by clicking here. We had those same dishes when I was little! Gotta love Corelle! This looks so good! My oven is not working now, so when I get my new one this will be the first thing I will make! I like all different types of music. I don’t really remember listening to anything in particular while I was growing up. I would listen to what my sister was listening to in the 70s. I remember Disco Duck. My sister got the album for Christmas one year and she was so excited!My hey day was the 80s. There were a lot of one-hit artists during that time. After watching the Bill Crosby in the 90s, Jazz really appeals to me too. I love how I can go to the tv and pick out whatever music I am in the mood for and listen to it while I work around the house. There is something special about listening to the artists from the 40s – 50s. I realize the skin is probably left to help in keeping the moisture in the chicken and aiding in flavor, but I can’t stand to eat it. Then taking it off you loose all the sauce. What would happen if you just marinated this without the skin? Would this work with boneless skinless chicken breasts? How would that alter the cooking time? sometimes you need the bone and skin on for added flavor. Can not wait to try this! We have been making tons of your recipes lately! My 9 yr old says your PB bars are better than ANY reese’s cup ever!! Thank you for this great chicken recipes. You are the greatest!! I’m with Debbie aka Fishlips on her point….I was born and raised as Southern as a magnolia and never, ever heard of Sticky Chicken. Love that Saffron rice though…yummy. Aerosmith, 38 Special, Doobie Brothers, Earth Wind & Fire, Elton John, Andy Williams, Ray Stevens and toss in some Johnny Cash or Frank Sinatra. There’s my music mix. Of course, gotta have all those old time hymns song in our church that were always part of my life too. In the Garden and His Eye is on the Sparrow….awesome. Love this and I add red pepper flakes for a bit of heat. Such a nice, easy recipe that looks so delicious. Thank you. I never heard of this before but know my family will go nuts over it. As for the music, this is telling my age but yep I was a kid when Buddy Holly sang this song. OMGOSH!!!!!! I just got that dang Sunshine song outta my head & now it’s back. 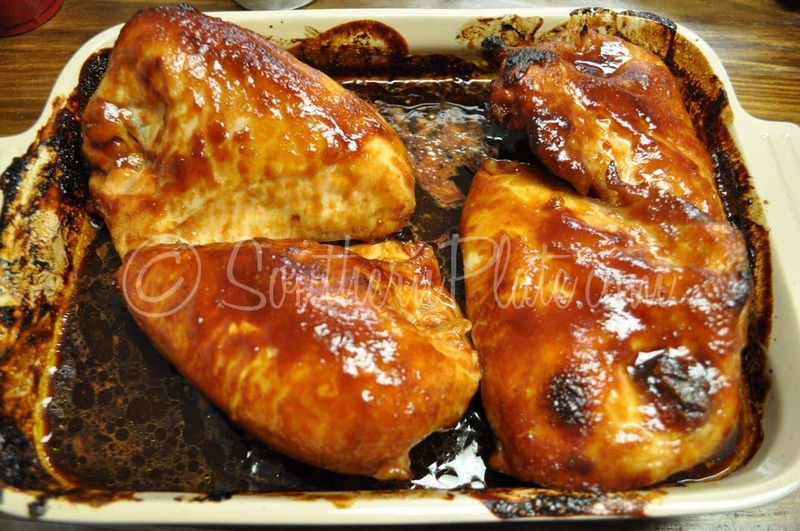 Chicken looks tasty, I’ll be giving that a try this week, thanks! Like I said before, you were born “after your time.” I like some of the oldies but goodies music. Of course, in the 70’s, I loved the Osmonds, especially Donny. Still love Elvis music tho and I usually listen to WZYP (country) radio. I would fix this dish boneless and skinless (especially skinless) too and just cover it for part of the time cooking. Not sure how long. Just check it for doneness. That chicken looks so good, but I don’t think I would have wanted to have been cleaning that baking dish. Maybe line it with foil so you could throw the mess away after serving. I am also wondering how this would do in a slow cooker. I genuinely did grow up in the fifties and had my high school years in the early sixties so rock and roll is still my kind of “comfort” music although my tastes vary. I liked country western of yesteryear but not so much nowdays. I still like gospel and some of the eighties things that my sons played day and night. Music is all salve for the soul. For sure…YUM! Howdy & thanks for these recipes! :p slurp! Good stuff!!!! This looks easy and awesome! I will be trying it today or tomorrow. I’m #5 of 6 girls in my family so my older sisters formed my musical tastes. They were big into folk music, The Kingston Trio, The Lettermen, Christy Minstrels. Toss those in a bowl and add in a little Marty Robbin Gunfighter Ballads and Bill Cosby comedy albums and mix well. I still love all this music. Our family was crazy over all of the Bill Cosby comedy albums. Thanks for the reminder. This recipe sounds really good. I will definately try this one soon! And you cant go wrong with Mahatma Yellow Rice!! I’ll wait for your green bean recipe; It looks really good too! I grew up in the 90’s, so I listened mostly to country music, however The New Kids on the Block were my absolute favorite boy band!! I had all of their dolls, comforter sets, posters, cassette tapes, and clothes! dang it…wonder what white sugar, the dab of honey I have and worchestershire sauce would end up like???? I dislike soy sauce. And use teriyaki sauce instead. oh and what I grew up listening to??? well, I grew up listening to Kasey Kasem and the top 40 every week in the 70s, moved to classic rock in the 80s, and in between those I was raised country. 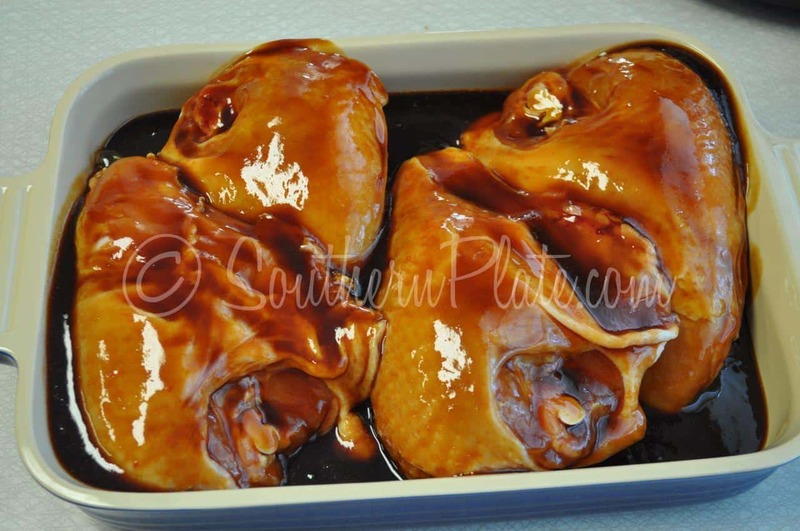 As Barbara Mandell says, “I was country when country wasn’t cool.” And we all know that Reba is the QUEEN of country..of course the first ladies count too……Tammy, Loretta,and the rest…..
thank you… I am making this tonight… all ingredients…. check…. yay!! 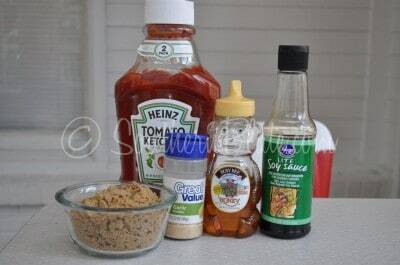 This looks simple and the ingredients you usually have on hand. I know my family will love it. I have some of the same questions others had. If you cook it without the skin will it still turn out and do you still cook it as long. Also, how would it do in the slow cooker. Thank you so much! LOVE Mahatma saffron rice – always have a couple of packages in my pantry. I was also wondering how this would do with boneless, skinless chicken breast and if it could be done in the crock pot? I just made a very similar recipe in my crock pot. 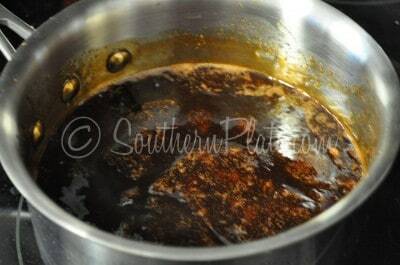 When the chicken was cooked, I threw it all in a sauce pan on the stove and brought the liquid to a boil. That’s what makes the nice brown color and gets is sticky. I also added minced garlic and a few shakes of Frank’s Red Hot, just for a kick. It was soooo good. Hubby and all 4 kids LOVED it! Happy cookin’! Corelle is still in business. Good stuff. Oh my goodness. I just thought I was hungry. After reading your post and seeing the pictures I am starving. Thank you for always being a bright spot with positive thoughts and wonderful recipes. We listened to The Beatles, Santana, Carole King and James Taylor – mainly the sounds of my childhood. My sister had a record player and she played a record every night as she was going to sleep. I heard the music wafting through the house. Then I got a radio and I listened to Top 40 in those days. I loved Kasey Kasem and ABC-AM Radio – Cousin Brucie for one and WNEW-FM where they played rock n roll – Rolling Stones, Grateful Dead, stuff like that. Christy, I make a different kind of Sticky Chicken. I rub the meat with a seasoning mixture, stick in the oven at 250 for 5 hours and it is sticky and delicious. I know you aren’t a big fan of seafood, but I am wondering how this would be on salmon….hmmm.. May have to experiment a little. Going to try that sticky chicken recipe this week, thanks! When I was a kid, my mom was in love with Robert Goulet. She had a big photograph framed on the “hifi,” that came with one of his albums. One day she pointed to the photo and said to me, “If Robert Goulet came to the door, I would leave your father for him.” I was horrified, and after two frightening weeks, I pulled my dad aside and told him the terrible truth of his future. He laughed and told me he would take the gamble that Robert Goulet would never be knocking on our door.